LEGAZPI CITY (Feb. 3) - Quiet lava effusion continue to flow from the crater of Mayon Volcano in the Miisi and Bonga-Buyuan channels advancing 3.2 and 4.3 kilometers respectively, from the summit crater. This was disclosed by Philvolcs Lignon Hill Observatory Resident Volcanologist Ed Laguerta in an interview with DZGB News. 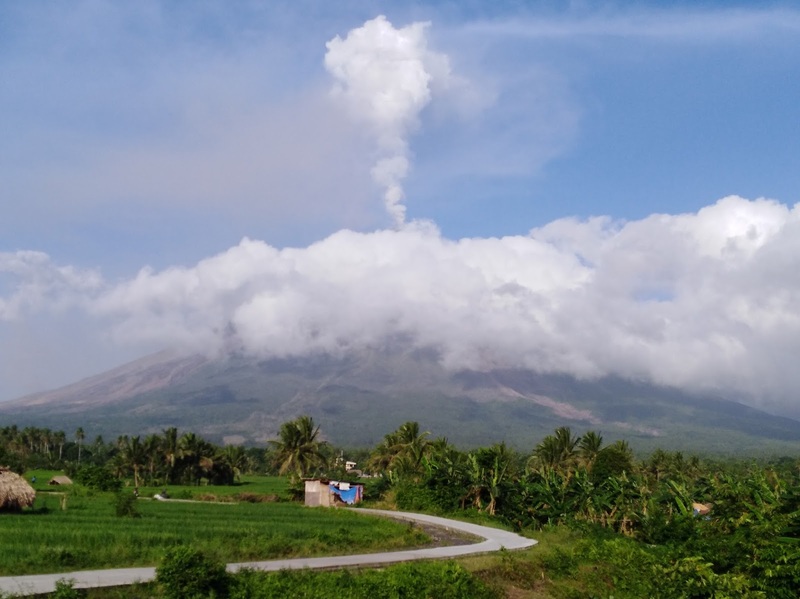 He said that despite of deflation of the edifice on the Northern side (Tabaco) of the volcano the agency cannot lower the Alert Level 4 to Alert Level 3 because they have to reconfirm the geodetic data gathered. Closure survey is on-going at Lidong, Sto. Domingo side to see the difference in the deflation of Mayon Volcano. Laguerta said that when the Lidong line survey is finished, they will go back to Tabaco side to reconfirm. Meanwhile sulfur dioxide gas emission was measured at an average of 1,583 dated Feb. 2, 2018 cutting half of the Feb. 1, 2018 record of 3,066 tonnes/day.